Since early 1960's Little Town Farm has been run by Matt and Eileen. In the beginning, they had a very small herd which over the years, with a great deal of ambition and determination has grown from strength to strength. From milking to bottling milk, with doorstep deliveries, onto yogurt making and rearing of our own animals for the newly built farm shop in 2004, we know exactly what we are doing when it comes to high quality produce. 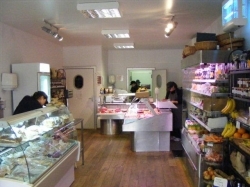 After requests from our customers, we decided to add on a tea room in 2008. This encouraged families to come and enjoy the enclosed play area, homemade ice-cream and see the animals around the farm - including our automatic milking parlour which is amazing. In 2010, we also started to sell a wide range of animal feed and bedding for all small holding and pet needs. For further information on our products, please don't hesitate to call us on 01772 786198.